The SOFIE Regulatory Intelligence System is a vital new tool for helping regulatory professionals navigate the regulatory maze. 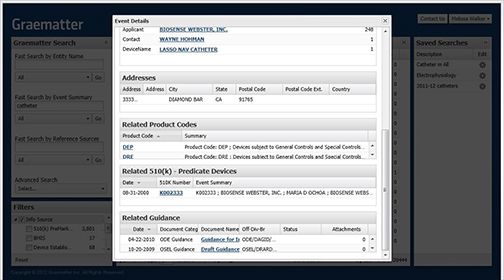 The SOFIE System is Graematter’s advanced system for locating, analyzing and tracking regulatory information. 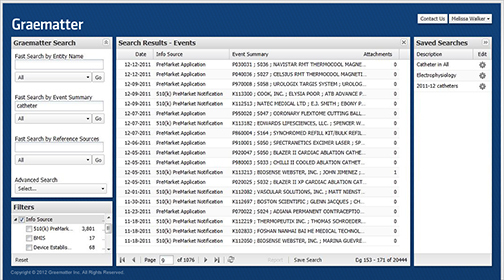 It connects information from multiple sources including the HHS, FDA, CDRH, CDER, CBER, ORI, OCI, DOJ and BIS to provide an effective, efficient system for monitoring the regulatory environment including inspections, warning letters, debarments, disqualifications, sanctions, recalls, review times, guidance, adverse events and more. Regulatory professionals can use this system to develop regulatory intelligence and create superior submission strategies instead of spending much of their time hunting for facts and data. The SOFIE System utilizes sophisticated search capabilities to search across multiple sources that have been integrated into a single database. Fast Search enables a searcher to perform a quick, broad search which can subsequently be narrowed. 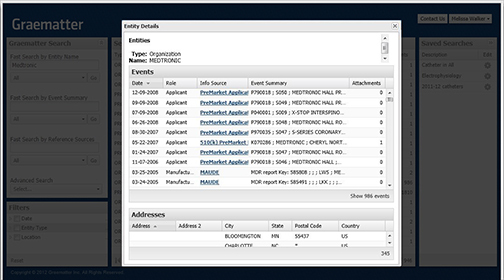 Advanced Search enables detailed searches which can quickly locate critical information. 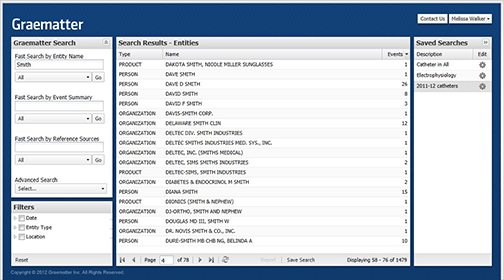 Saved searches can be regularly updated to reveal newly published documents. 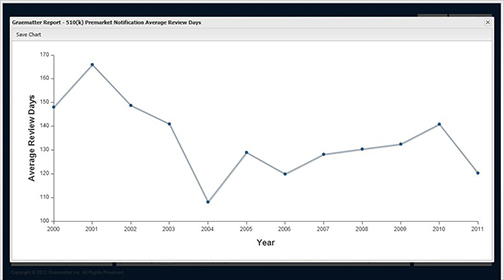 Trends for key indicators can be monitored and tracked.